Breakfast is the most important meal of the day. Based on recent researcher, it was found that people who ate breakfast regularly was more successful with long-term weight loss than those who regularly skipped the first meal of the day. This is because eating breakfast revs your metabolism for the day ahead and can help prevent overeating later on. 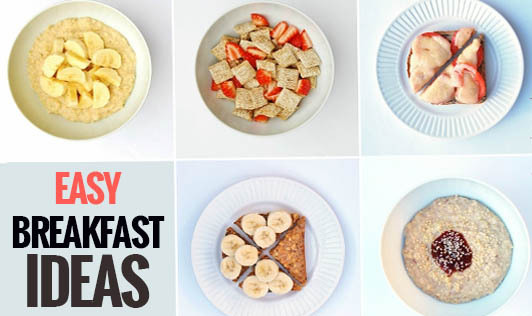 Try these for an easy and quick breakfast recipe. They are easy to make and will keep you active throughout the day. Make sure you never skip your breakfast!